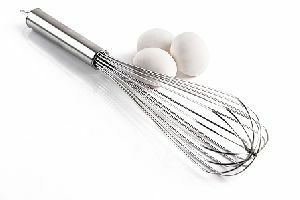 We offer premium quality Whip Bowl that is provided with an added accessory, whisk, which makes it easy to whisk the ingredients, like egg, flour mix, cream, butter and others. Packaging Details : Each item is individually packed. Master Carton of 50pc. 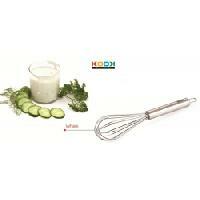 The Whip Bowl with Whisk is manufactured from quality materials and using latest technology. 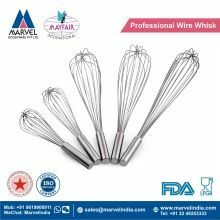 Avail Whip Bowl with Whisk in the size of 28 cm. 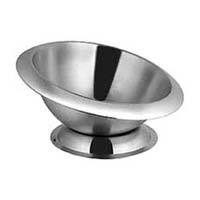 We are a proficient Manufacturer, Supplier and Exporter of Stainless Steel Whip Bowls in Haryana. 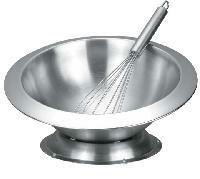 Stainless Steel Whip Bowls are widely used in hotels, restaurants and other eating joints. 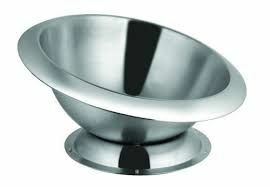 Stainless Steel Whip Bowls are made under the supervision of the quality auditors. 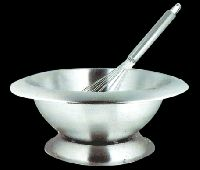 Owing to the perfect finishing, dimensional accuracy and durability of Stainless Steel Whip Bowls, we are receiving repetitive orders. 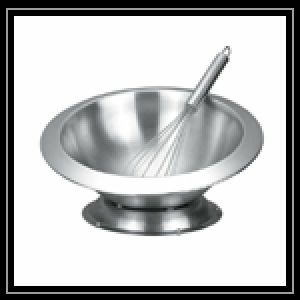 Being among the top Manufacturer, Exporter and Supplier of Whip Bowls from Delhi, we have for you some very exciting matte finish Whip Bowls of varied sizes, that has become a significant kitchen utility item. 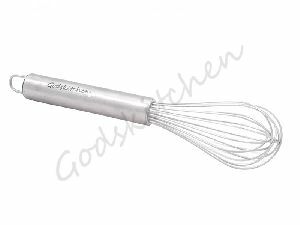 We take bulk orders and the cost is quite reasonable. 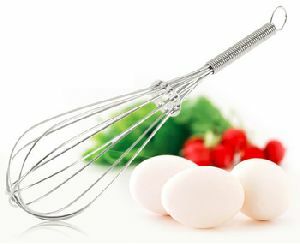 We believe in quality, efficiency and timely delivery of our products. Our products are completely manufactured using premium raw supplies to make sure they adhere to global management standards of quality. Stay rest assured for the products that we offer as they will remain damage free. For this, we make use of only premium packaging material for the packing of the products. 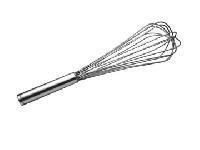 Kook S. S. Whisk 1no. 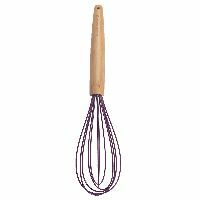 We are supplier of this product. 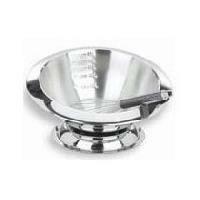 Price - Rs.125.00 Features:- Made Up From High Quality Stainless Steel. 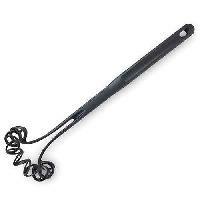 Proven Utility Kitchen Tool Useful for modern Kitchen. 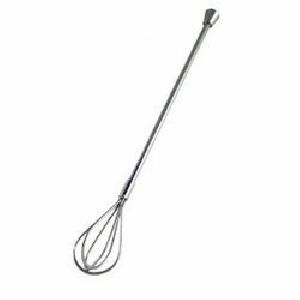 Used to Egg, Beater, Butter Milk, Etc. Durable & safe. 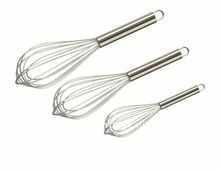 Easy to use & clean. Desent Stainless Steel Pipe Handle. 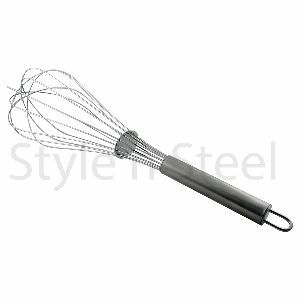 Dimensions: - Whisk Length: 200 MM Availability: 100 Model: Whisk 1No. 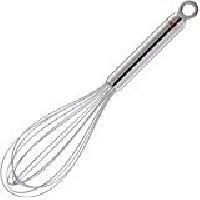 The thick steel wires ensure that the batter is well whipped and blended. 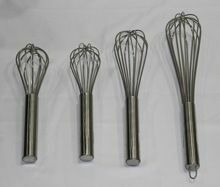 Available in Sizes - 10", 12", 16" and 18"
We are offering egg whisk etc. 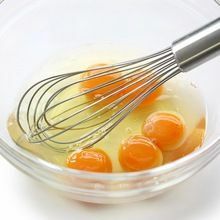 We are offering Cutlery Bowl in India..
We are one of the well established manufacturer a wide range of whisks & spatulas.